For those that who have ever been at a gig and lunged their phone or camera in the air to try and capture some of the performance will know that the only sound recorded by the terrible on board mic will be CCCCCCCCRRRRRRRRRRRRRRRGGGGGHHHHHHHHHHHHHHHHHHHHHHHHHHHHH, or just distorted noise. Luckily, I record with external microphones when I film performances, usually because there isn't another option. Bands these days can't afford to hire a PA system with a multi channel mixer w/EQ, especially for one off performances, so it is common to see, so always be prepared! 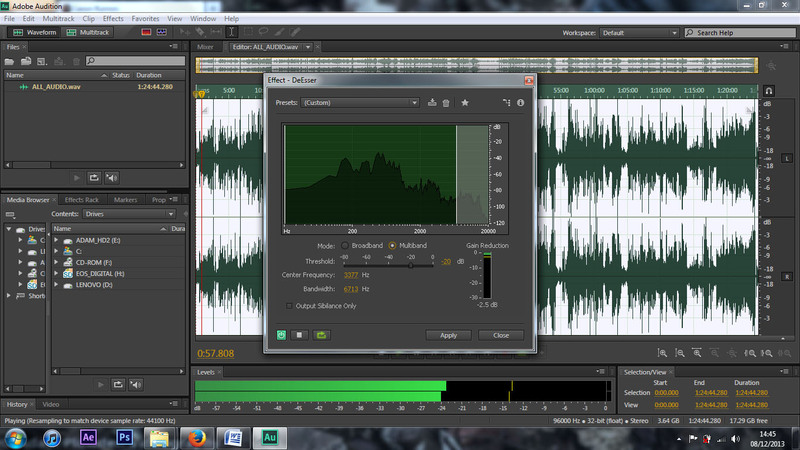 There will always, however be background noise and hissing that will need to be removed from the recorded audio, I'm using Adobe Audition at the moment to eradicate that from the John Sinclair performance, as its functions for calculating and removing frequencies from audio tracks is phenomenal.